Decree to loosen rules on sale of firearms is criticized by those for and against gun control. 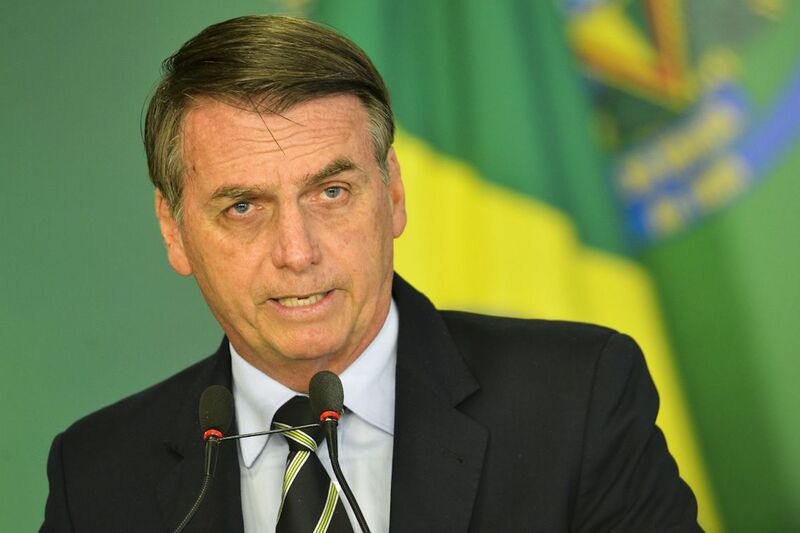 RIO DE JANEIRO, BRAZIL – Brazil’s President Jair Bolsonaro signed on Tuesday (January 15th) a decree that eases the rules for the possession of firearms in the country. The decree was received with criticism from both those for and against restriction of firearms in Brazilian society. President Jair Bolsonaro during the ceremony to sign the decree which eases gun sales control, photo by Marcelo Camargo/Agencia Brasil. “The Brazilian Forum of Public Security (FBSP), based on national and international studies on the causes of homicides and other violent crimes, deplores the publication by the federal government of the decree that facilitates the possession of firearms,” said the FBSP in a statement. “It (decree) is betting on violence, since there is strong evidence within the debate on public security that, the more (citizens) armed, the more crimes,” added the entity. “One of the probable effects of the decree signed today will be the increase in violent deaths for banal reasons. In addition, the circulation of firearms will increase the supply of weapons to criminals,” criticized the Instituto Sou da Paz, a human rights group dedicated to decrease violence in Brazil. But it was not only those in favor of total disarmament in Brazil who criticized the measure. “It did not please anybody. The decree brings some changes, but rather timidly,” says one of Brazil’s most vocal pro-firearms defenders, Bene Barbosa. “It was a bucket of cold water on the cops, who were sure the President was going to authorize the purchase of imported weapons,” Barbosa told journalist Leda Nagle on her YouTube newscast. “The objectives of the decree, which is to give security to the citizen, the measure is innocuous. This decree is tertiary in the discussion of public policies to combat violence in the country. Regulation alone will not reduce crime rates as needed,” said Flavio Werneck, president of Sindipol (Federal Police Union) and public security specialist, to G1 news website. 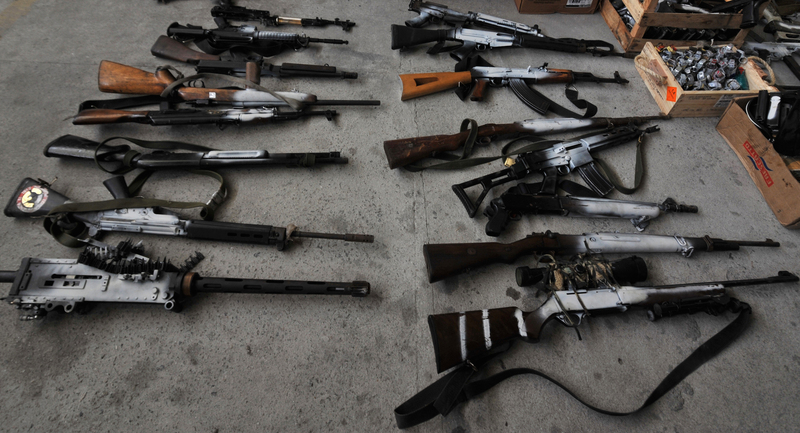 Guns apprehended in Rio’s Complexo do Alemão Favela, photo by Marcello Casal/Agencia Brasil. According to President Bolsonaro, the decree gives the population the freedom to decide on whether or not to purchase of firearms. “For a long time, it was up to the state to determine who had the right to defend himself, his family and his property. Today, respecting the popular will, manifested in the 2005 referendum, we give Brazilian citizens the freedom to decide,” he said during the decree-signing event. In the 2005 referendum, Brazilians voted “no” to the prohibition of weapons sale in the country. The decree signed on Tuesday allows any Brazilian citizen, over the age of 25, to purchase weapons. Previously, to own a gun in Brazil the person had to demonstrate ‘the need’ to have a weapon, which was assessed by a Federal Police agent on an individual basis. The agent could accept or not the argument. The previous rule established that the registration should be renewed every three to five years. The new decree increases the deadline to ten years. The individual must also prove to have the technical capacity to the handle firearms and psychological aptitude for such, attested in report provided by a psychologist of the Federal Police or by an accredited entity. The decree must be ratified by Congress within 120 days to take effect.